Reading progress update: I've read 91 out of 333 pages. I'm a sucker for these books and I will not apologize. Black Klansman - Ron Stallworth: This one was the pick for my cousin's book club. I have until May to finish it but I don't think it'll take that long. It's pretty short. Considering I'm from Colorado, I look forward to reading more about the state's history. Under Pressure - Lori Foster: Southern Fried and I chose this one for our April buddy read. Hard not to, considering how much we've loved Foster's other books. N0S4A2 - Joe Hill: I got this one for Christmas and with the series coming out on AMC soon I figured I'd try to finish the book before I watched the show. Took me the whole month, but I finally finished my buddy read for March. Southern Fried Reads chose this one and I'm glad she did. It was fabulous and it had a solid story. A ridiculous story but honestly a solid one. The mystery of how the bank robbery connects to Armie's past which connects to a near hit and miss for Rissy all built up well upon itself and led to a fabulous conclusion. I have to say, Foster had some balls in this one regarding Armie's secret. When I got to it I was shocked she went with that angle, given it seems risky especially in this day and age, but she executed it well and it fit into Armie's character. Like, it actually connected to his behavior rather than being tossed in for shock value. So kudos to Foster for going as far as she did. It was a risk but it paid off. Final rating: 5 out of 5. Ridiculous but I love it, which is all I expect from a book. Also, the adult store scene was priceless. Reading progress update: I've read 133 out of 480 pages. I'm SUPPOSED to have this done or mostly done in time to talk about it at book club on Sunday. While the bomb cyclone gave me some free reading time (woo snow days) I don't think my goal will be achieved. Oh well. It's still a REALLY good read. Reading progress update: I've read 136 out of 384 pages. This is the March buddy read with Southern Fried Reads. So far, I'm enjoying it. It's delightfully ridiculous and Merissa is a fun character. Armie was one of my favorite side characters from Hard Justice so it's fun to get to see more of him as well. Reading progress update: I've read 58 out of 480 pages. All right, finally starting this one. I have to say, I was hesitant because I was underwhelmed by Shadow and Bone. So far, though, this one is MUCH better. Maybe it's just a better plot. Who knows? I have until the 17th to finish this. Let the race begin! I've officially finished my buddy read with A Monster Called Me and we wanted to read something romantic for the month of February. 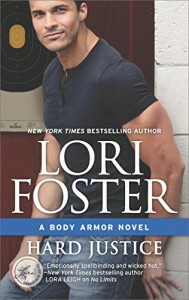 So a Lori Foster book fit the bill! I'll be honest, I was skeptical of this book in the very beginning. I listen to all of my books through Audible because it allows me to multitask. The narrator for Hard Justice does a phenomenal job of providing a voice for Justice. It's a masculine laid back New Yorker drawl. But good lord, the voice he provided for Fallon and the other women in the book was awful. It was an overly lispy high pitched voice that sounded terrible. It came off as a bad memory of drunk gals in the club whining, "I just wanna dance!" 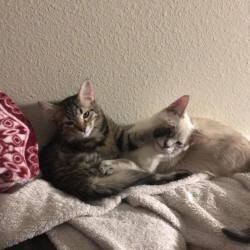 after their fifth vodka cranberry. 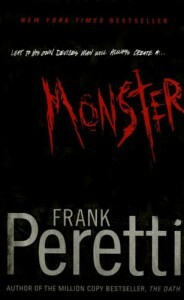 I wish the narrator would have just kept his voice normal for the female parts of this book. It would have been way better. Beside the audio aspect, the book started off rough for me. I had to take a step back and remind myself I was reading a sappy romantic novel that isn't exactly supposed to be held to high class literary works (Not like that's my cup of tea either, but you get the point). Fallon's mega naive ways come off as a little over the top in the beginning. But once the first few chapters were out of the way, I started to adore this book. Foster paints each detail so perfectly that it does become very immersive. She doesn't sacrifice any of her characters to just being stand ins. They all have their own side stories (which I later found out there are books for!). I'm the kind of person who LOVES the side stories of books. I find myself enjoying side characters more than the main characters sometimes. So you can bet I'm going to be reading the rest of the characters books. By the time the book ended, I was left wanting more. I wanted to see Justice and Fallon get married, have kids, take vacations, grow old. This book was a deliciously cheesy and savory book to read for fun. If you don't take it seriously, you'll love it. As mentioned, Southern Fried Reads and I chose this one for a buddy read. As if by design, we both finished tonight. Hard Justice is a reread for me and honestly, I'm really glad we chose it. I appreciate it even more than I did the first time I read it. Is it campy and cheesy and over the top? Of course. But that's kind of the appeal of romance novels, isn't it? Indulging in some fantasy? Plus, I really think Foster is a solid writer. The story follows a good progression, has its tense moments, and a satisfying ending. I'm not expert of the genre, but I find Foster's books some of the better romance novels I've read. Final rating: 5 out of 5 this time. It's delectably indulgent and I will not apologize. It is done! It's taken me a while but I have finally finished Truman Capote's true crime novel. 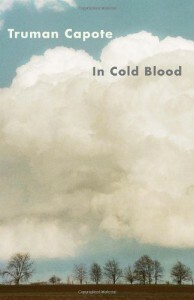 I wanted to read this one after watching Capote a few years ago. I also learned that it's considered one of the first true crime novels/the grandfather of the genre, so it felt only right to give it a go. Overall, I'm really glad. I was surprised by the depth of exploration into both Smith and Hickock's lives the book went into and just how much Capote was able to discover. I was also surprised by the explorations of criminal psychology the book presented. Considering when this book was written, I didn't think people would be considering that sort of topic. Having read the book, though, it makes sense that it was explored and that so much was dug up on the killers since the shocking element of the crime is no one understood why it had happened at all. The randomness of it was something new and kudos to Capote for really exploring the nature of the randomness. He also gave lovely exploration of the Clutter family and I feel appropriate coverage to the lives that were lost. Part of why it took me so long to finish the book is related to having seen Capote. I think I expected the book to be like that movie and it wasn't. I'm actually surprised with how sympathetic the movie portrays Perry Smith, since the book really portrays him as a cold and remorseless person, even with all the exploration they gave into his backstory. You feel for what he went through, but the Perry in Capote is very different than the Perry of In Cold Blood. The book also dragged a bit, especially in the beginning. Every detail makes sense and is well written, it just is sort of didn't have a quick flow to it, if that makes sense. Final rating: 4 out of 5 stars. A little slow but a great read for those who enjoy true crime. All right, a reread for me, a first read for Kiersten. My boy Justice is back! Okay, I can’t do it. Reading progress update: I've read 10 out of 416 pages. Remy has a pet gator, his name is Useless, and I love him. Reading progress update: I've read 0 out of 416 pages. The buddy read has been chosen!!!!! Southern Fried Reads and I will be indulging in Tall, Dark, and Cajun by Sandra Hill. I'm so pumped, you don't even know. So I didn't get as much read in January as I wanted. Se la vie, or however it goes (and is spelled). In Clod Blood should be done this weekend, so I figured I'd lay out my February plans 'cause I really need to get back into blogging. 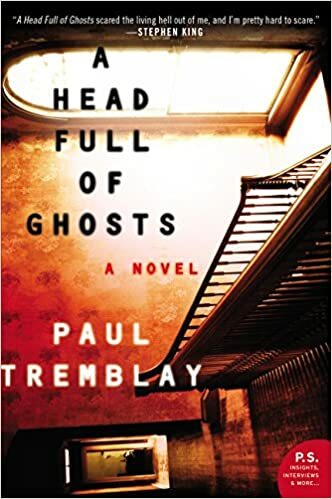 For Me: Head Full of Ghosts by Paul Tremblay - I bought this back in December and read the first chapter at the beginning of January, so I want to finally get it read by the end of the month. Considering how fast I read The Cabin at the End of the World, I don't expect it to be an issue. 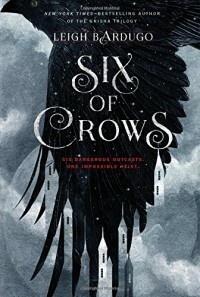 Book Club: Six of Crows by Leigh Bardugo - My cousin is starting a book club and the first book is Six of Crows. I have until March to read this one so it might not come into play until mid-February. I hear it's fun though. Buddy Read: TBD - I convinced my friend Southern Fried Reads to join since I send her my posts anyway and often talk about books with her. Since both of us want to read more, we're gonna do a long distance buddy read. 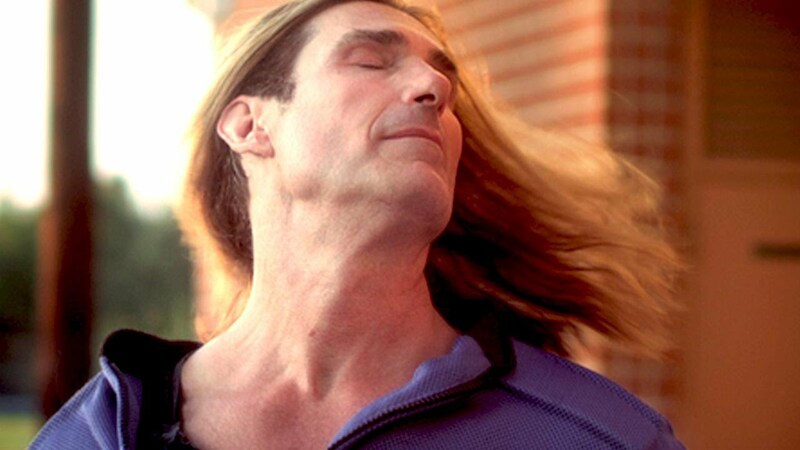 We're planning on an obnoxious romance novel, though we haven't decided which yet. Feel free to make recommendations in the comments! So that's the plan. It should be doable. SHOULD be. Quick review before I head to bed! Overall, I really enjoyed this. I checked it out on Libby because I wanted a good Bigfoot story and that’s exacrly what I got. The Bigfoot squad were fabulous and I enjoyed learning about their culture and ways. This one’s a bit of a slow burn but when it did get scary I absolutely got the creeps. It takes some patience but it’s well worth it in my view. The book has Christian overtones but it wasn’t done in a way that felt heavy handed too me. The book is a tad anti-evolution but again, not super heavy handed.